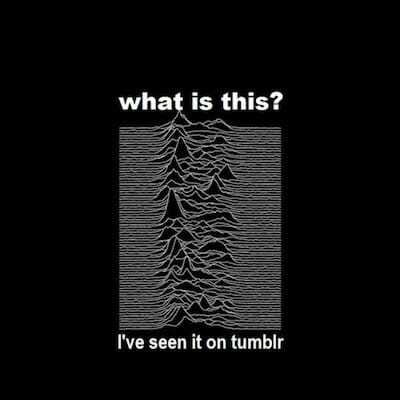 I’ve made no secret of my admiration of Jocelyn Bell Burnell, and how Peter Saville’s iconic cover design for Joy Division’s Unknown Pleasures always reminds of her. There are many, many memetic variations of that design. 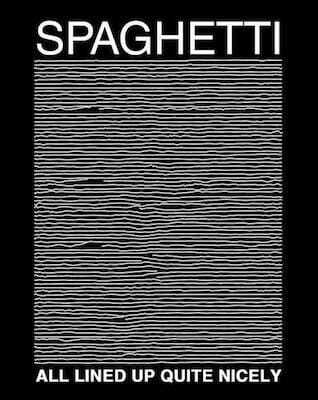 I assumed that somebody somewhere at some time must have made a suitable tribute to the discover of those pulses, but I’ve never come across any Jocelyn-themed variation of the Joy Division album art. The test order I did just showed up, and it’s looking pretty nice (although be warned that the sizes run small—I ordered a large, and I probably should’ve gone for extra large). 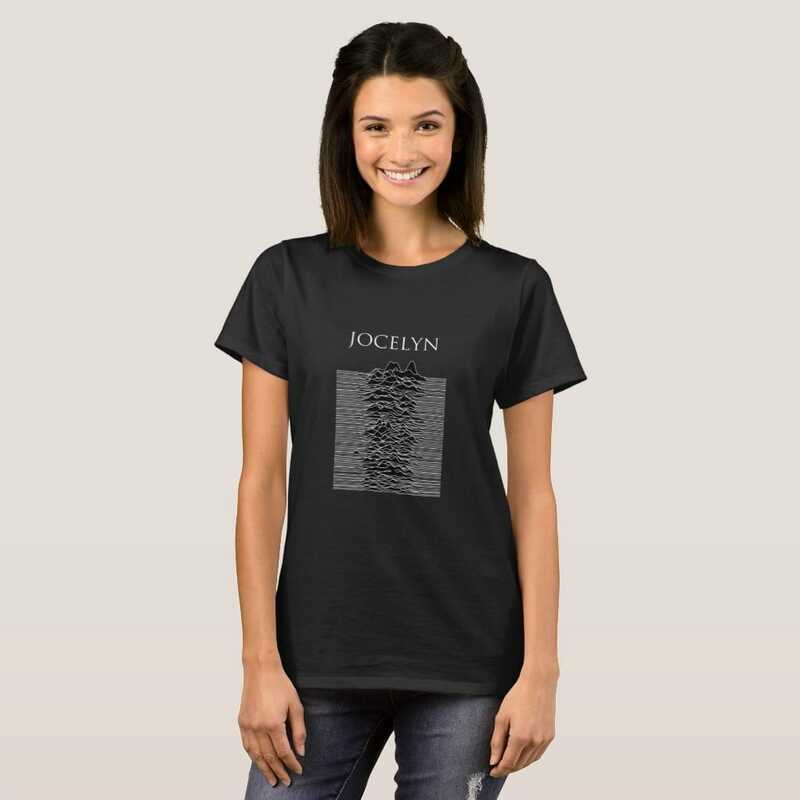 If your music/radio-astronomy Venn diagram overlaps like mine, then you too might enjoy being the proud bearer of this wearable tribute to Dame Jocelyn Bell Burnell. 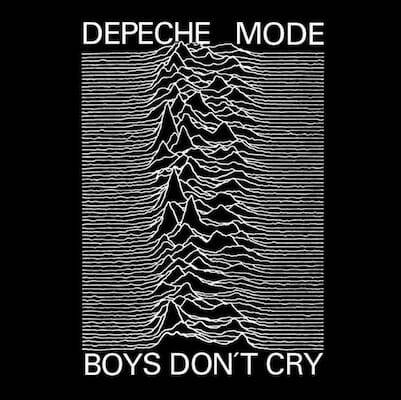 When most people see Peter Saville’s iconic cover for Unknown Pleasures , they think of Joy Division and the tragically early death of lead singer Ian Curtis. But whenever I come across variations of FACT 10, I see a tribute to Jocelyn Bell Burnell. The album’s artwork is an inverted version of an illustration from the Cambridge Encyclopedia of Astronomy (which brings up all sorts of fascinating questions about Saville’s “remixing” of the original). 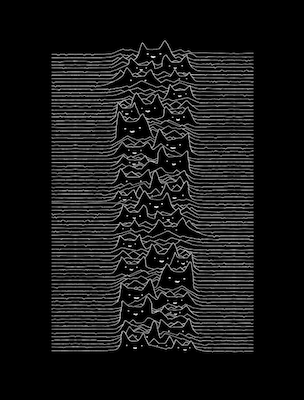 It represents a series of pulses from CP 1919, the first pulsar ever discovered. The regularity of the radio pulses is what caused the source to be initially labelled LGM-1, standing for “Little Green Men.” But the actual cause of the speed and regularity turned out to be equally stunning: a magnetised incredibly massive neutron star rotating once every 1.3373 seconds. Pulsars keep their regularity for millions of years. They are the lighthouses of their host galaxies. When Carl Sagan was designing the Pioneer plaque and the Voyager golden record, he included a pulsar map that pointed the way to Earth—a decision that was criticised by many for inviting potentially hostile attention. That first pulsar— CP 1919 (or LGM-1)—was discovered by Jocelyn Bell Burnell on November 28, 1967 while she was still a PH.d student, using the radio telescope she helped build. In fact, she discovered the first four pulsars. In 1974, the Nobel Prize in physics was, for the first time, awarded to an astronomer. It went to her Professor, Antony Hewish. Jocelyn Bell Burnell herself claims no animosity on this point, but I can’t help but wonder if the committee might have made a different decision had the discoverer of one of the most important astronomical finds of the twentieth century had been a man. They did not know what to do with a young female scientist, you were a young female, you were page three, you weren’t a scientist. For a fascinating insight into the career of Dame Jocelyn Bell Burnell, I highly recommend listening to Jim al-Khalili’s interview with her on BBC 4’s The Life Scientific .